Let’s start by stating the obvious: we love Instagram. When traveling full-time, you miss out on things back home and need an easy way to connect with other full-time travelers. We found Instagram to be the easiest way to do that. 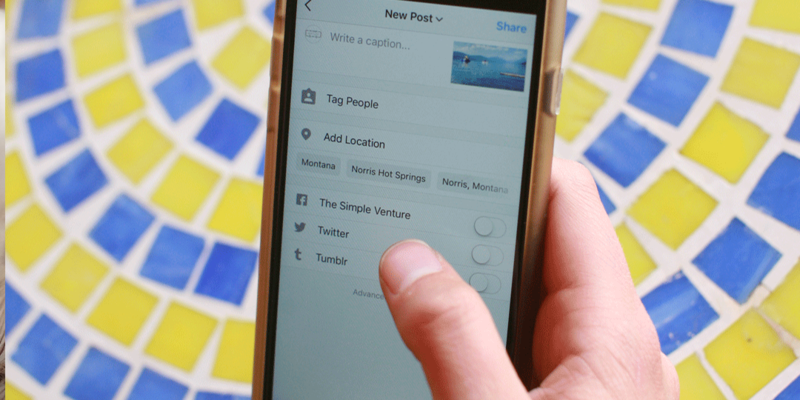 Instagram Stories allow you to share the ‘daily life’ moments that you might not create an Instagram post for. They’re typically a bit more personal and casual. When we first started traveling full-time, Instagram Story Highlights didn’t exist. I would share something on our Story, and if I didn’t save it to my camera roll, it was gone in 24 hours. I wish I had well-curated, organized Story Highlights to save those little memories. Instagram Story Highlights allow you to create your own digital scrapbooks, but they are also a great marketing tool and way to let your followers get to know you better. Use Instagram Stories to share what your daily full-time travel life looks really looks like. For us, somedays that’s hiking in Yosemite National Park or jumping on ledges into freezing cold water in Glacier NP. Other days, it’s working from the RV all day or bundled up on the couch because it’s snowing, the heat wasn’t working, and we were in a location with not much to do – #miserable. Stories are a chance to share the incredible, not so great, and ‘normal’ life moments of full-timing RVing. Take it to the next level and Story Highlights become a great way to share tips and tricks about full-time RVing, favorite campgrounds, and can’t miss destinations. Decide what you want to “educate” your followers on and make those your Story Highlights. The more value and education you can provide to your followers, the more engagement you’ll get. Be a resource, be yourself. Let your Instagram account and Story Highlights be a place for people to learn about full-time travel and get to know you better. Luke and I both work in Marketing, and branding/social media is a big part of what we do. Creating covers for your Story Highlights are a great way to build the visual look of your brand and make your Instagram profile clean and organized. 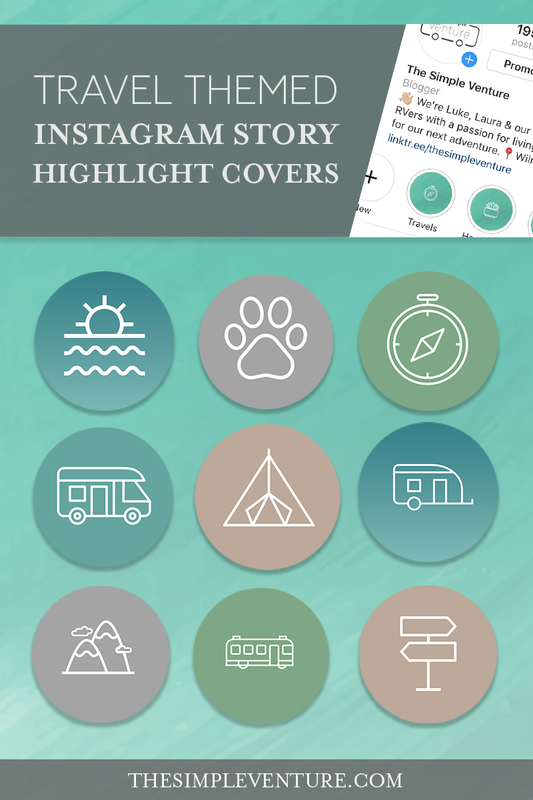 So, to make it easy on you, we create a few standard sets of Travel Themed Instagram Story Highlight Cover Images. Get Your Free Instagram Story Highlight Covers Delivered to Your Inbox! Connect with us on Instagram @thesimpleventure!